Looking for an internal email app that’s better than Slack? Look no further! Slack has got a big following in the world of internal email. As an alternative to conventional email, it ranks high on the usability index, providing a responsive solution designed for fast-paced working environments. However, like all things in life, it has its fair share of compromises when it comes to your workflow, and those compromises can impact productivity and frustrate your creativity on a daily basis. There’s a reason why Slack is so popular—its simplicity. It does one job, extremely well. The problem is, for dynamic teams who need to share information internally but who also need to connect to the wider world, Slack begins to show its limitations. As an internal communication app it’s great, but as a productivity tool, not so much. It creates silos of information by forcing you to switch between different apps such as email, cloud drives, and calendars. It also compounds the “always-on” mentality by bombarding you with constant notifications—distracting you from the task at hand and slowly degrading your productivity levels. Add to this the high prices for larger teams and limited functionality for the free version, and suddenly, Slack starts to look much less attractive. It’s also missing handy features such as read receipts and a decent file manager. Here at Spike, we think we have a better way to manage your internal communication, and we’re sure that our slack chat alternative will be a breath of fresh air when it comes to creative collaborations and team productivity. Groups is designed to provide a quick and easy way to communicate with your team both in and out of the office using a single app. No more switching between apps to chat to colleagues and clients, no more downloading files from email to be shared across your internal channels! You can do it all with Spike—seamlessly and efficiently. It’s just like using your favorite instant messaging app, with notifications and read receipts keeping the conversation going. 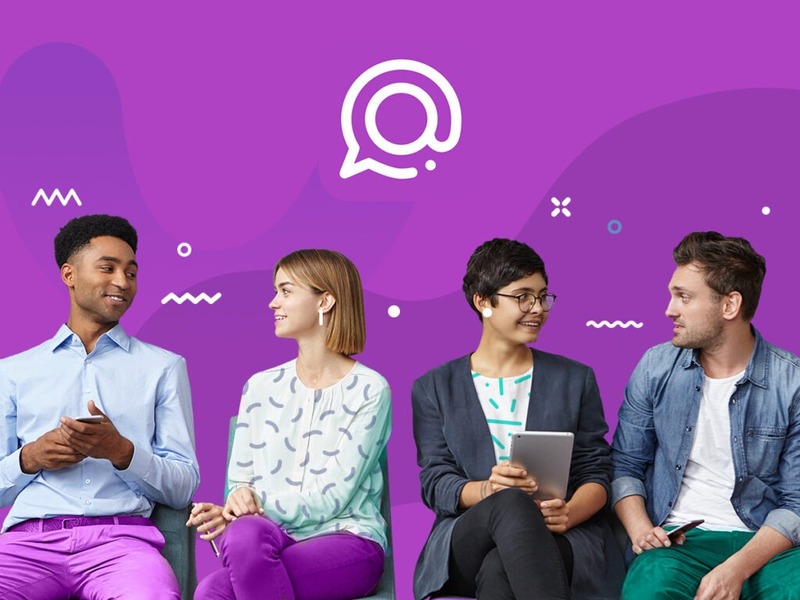 Real-time messaging is key when it comes to dynamic group work, and Spike Groups lets you start a conversation on your laptop and finish it on your smartphone or tablet—a truly versatile chat app that goes wherever you go! Setting up a Group takes just a few clicks. Simply open a new Group, give it a great name, and invite everyone who needs to be part of the conversation. Once your colleagues have accepted your invite, you’re ready to get to work—pushing productivity to new heights with an internal email app that runs quietly in the background. Even if the people you want to chat with don’t have Spike, you can still enjoy all the benefits of Groups. However, it works best when everyone is online with the app—boosting real-time awareness and streamlining communication as only Spike knows how! More Features. More Efficiency. Less Slack. Groups offers teams some big advantages when compared to other internal email apps. You can forget those frustrating silos of information and access everything you need directly within Spike. No more switching between internal and external mail apps. No more managing multiple Calendars across separate productivity tools. And no more shuffling files to your desktop only to upload them again. Spike Groups provides instant previews of your shared files, allowing you to look at shared documents directly within the Spike app—saving time and storage space. It also means you can quickly find the right document even when there are multiple working copies being shared among the group. It’s quick, easy, and offers the ultimate in accessibility when sharing attachments of any type. Finally, there’s plenty of people out there who don’t enjoy paying a premium for premium features, and Slack can be notoriously expensive—particularly for large organizations. Spike, on the other hand, offers a simple two-tier approach depending on the features you require. A Spike Personal Account is a completely free slack alternative that offers unlimited personal accounts, up to 100k (10x more than Slack) of message storage, and up to 10 Groups. For larger corporations with custom email domains, a Business Account offers unlimited Groups and message archiving for just $5.99 a month. Here at Spike, we believe that Groups is the future of internal email—and once you’ve tried our Slack alternative, we’re sure you’ll never want to go back! Discover how you can foster a truly collaborative workspace using Spike and learn about how Conversational Email is going to revolutionize the workplace.